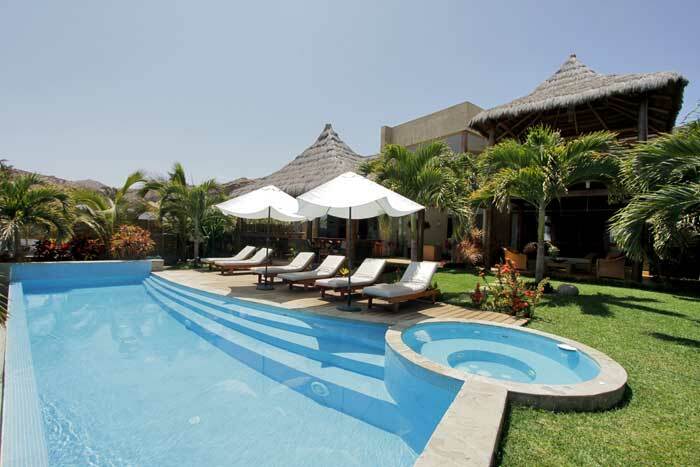 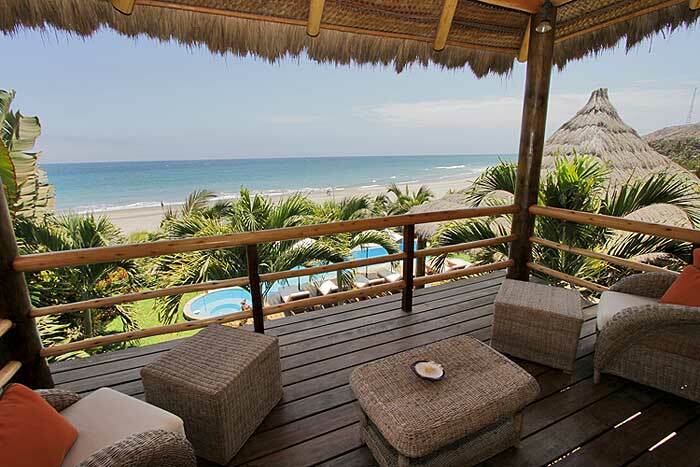 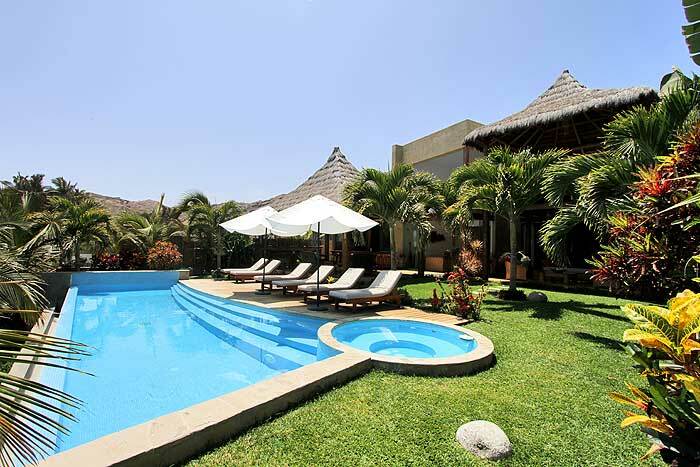 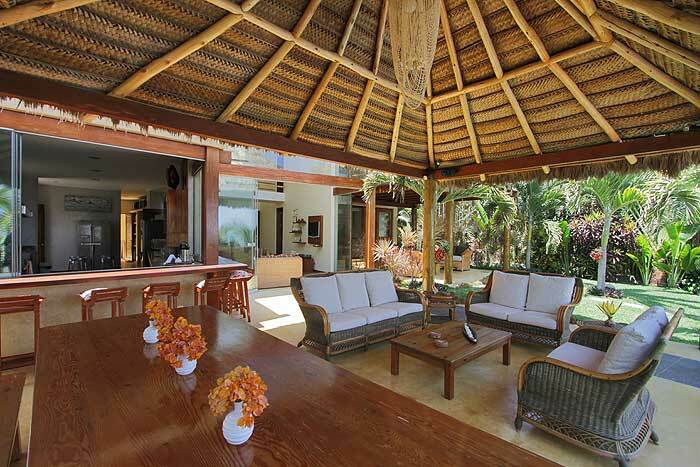 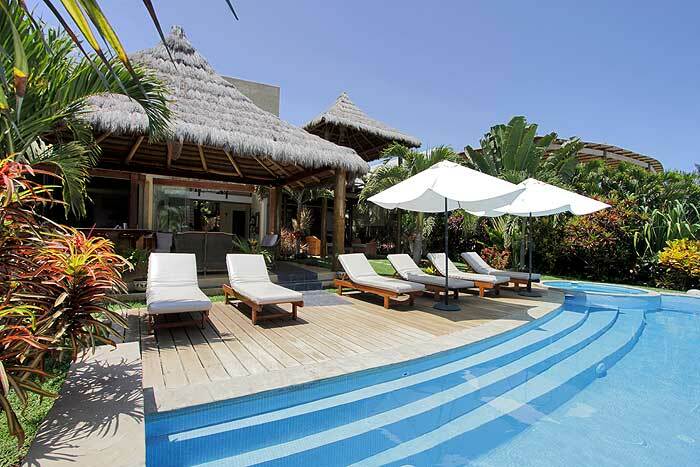 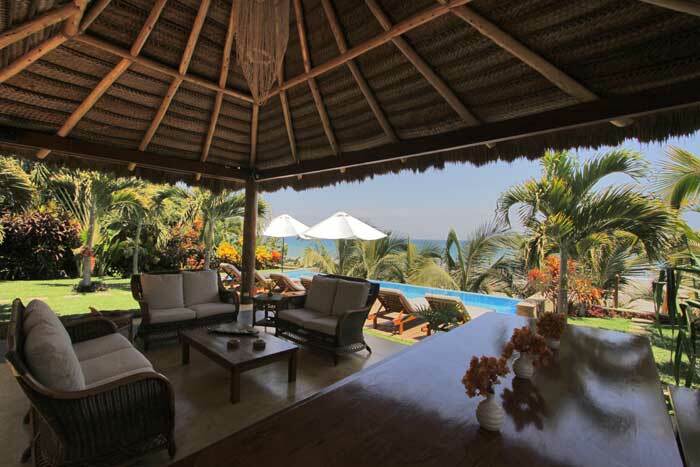 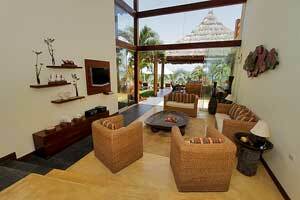 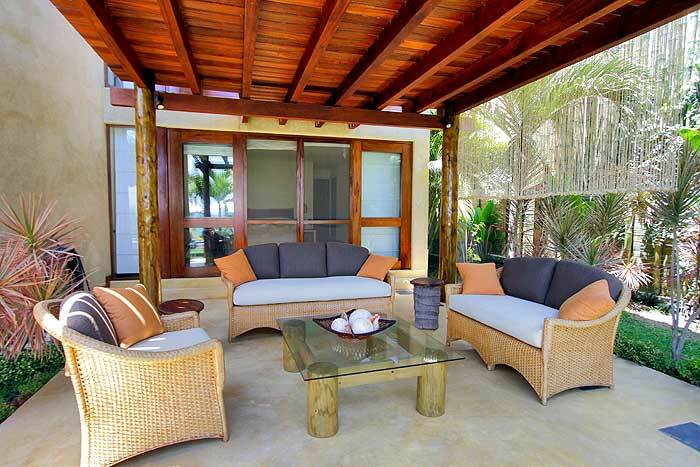 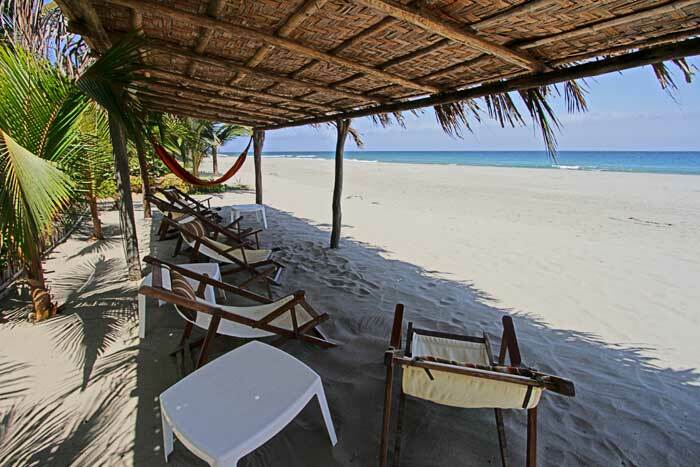 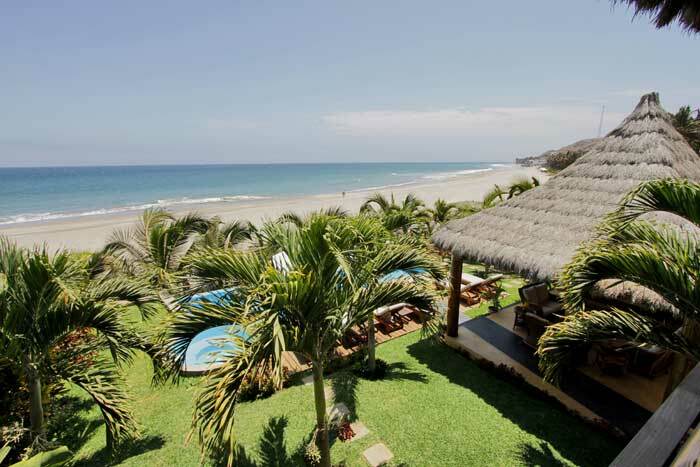 Casa Kusa (Kusa House) is a seashore property with private access to the beach. The maximum capacity is for 12 people. 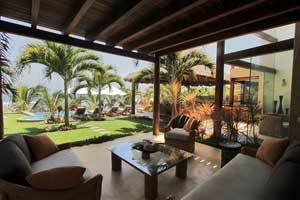 The main access is located on the backside of the house, in between gardens. 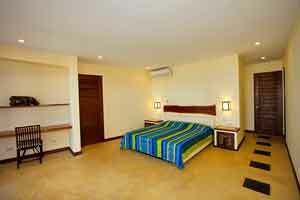 On the first floor there is a master bedroom with a king size bed, with their own bathroom and terrace with ocean view. 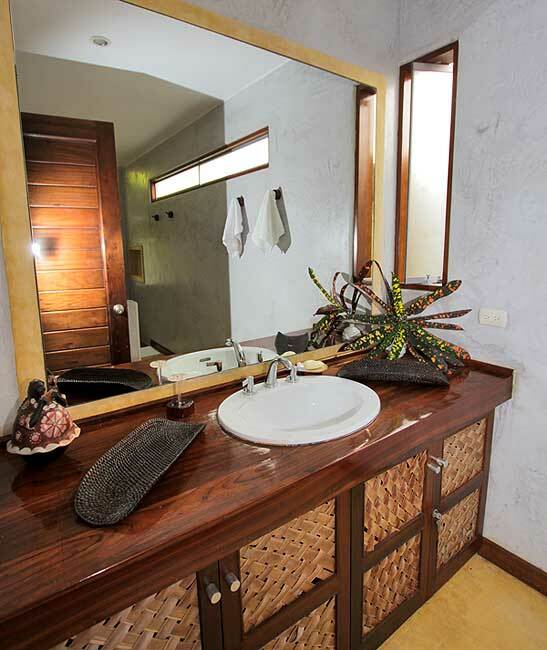 A guest bathroom, interior hall and a fully equipment kitchen with ocean view, also integrated to the terrace by a big table bar-type. 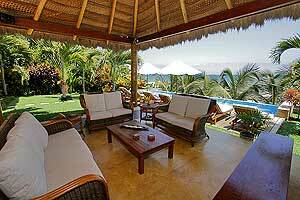 On the terrace of the first floor we find the dinning room, an open exterior hall, both with ocean view. Casa Kusa is decorated with a nice and well-preserved garden, Jacuzzi, swimming pool and a wood made deck with beach chairs, all just over the beach. At the back of the kitchen we find the service area. 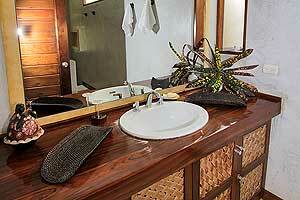 Bathroom and a service room for two people, complete laundry area and washing and dryer machine. 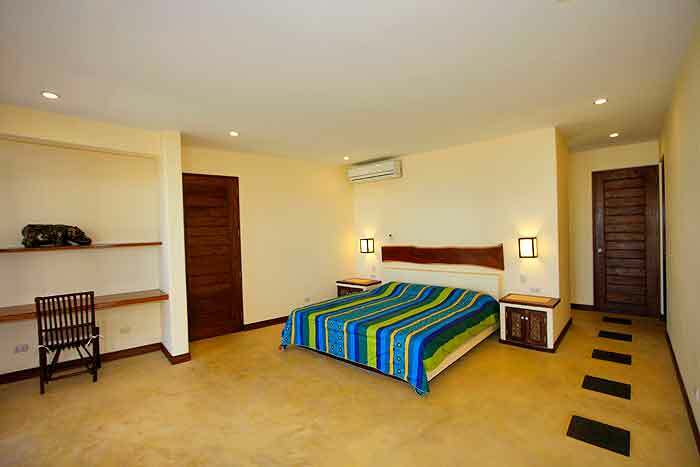 On the second floor we find a second master bedroom, with a king size bed and its own bathroom and terrace with ocean view. 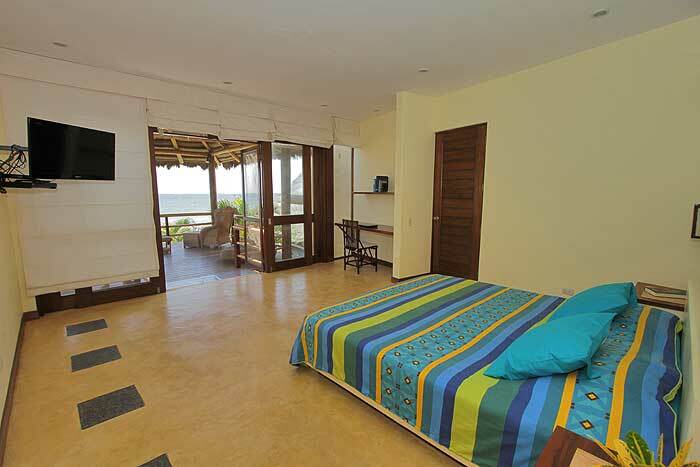 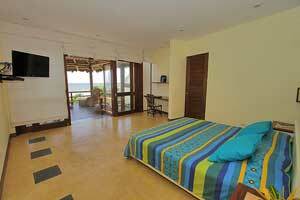 The third bedroom is provide with two bunk beds with its own bathroom and terrace with ocean view. 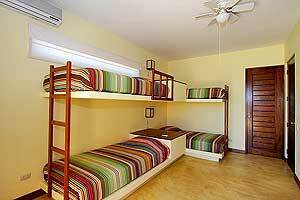 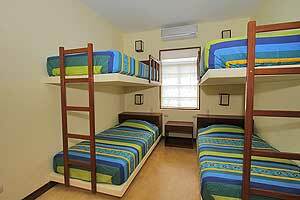 The fourth room also provide two bunk beds and its own bathroom. 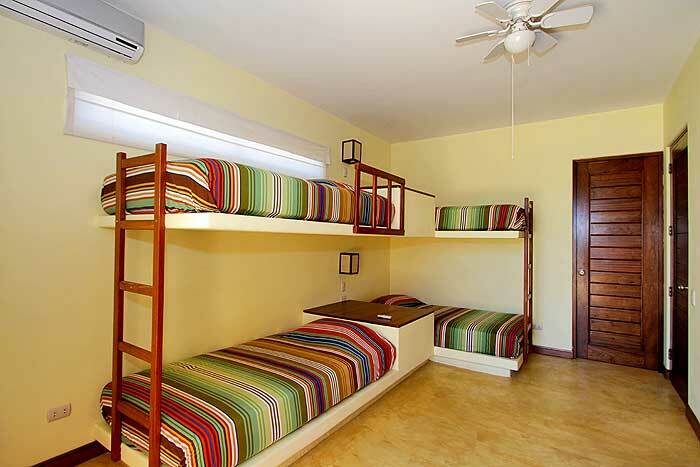 Four rooms in total, all of them with air conditioning. 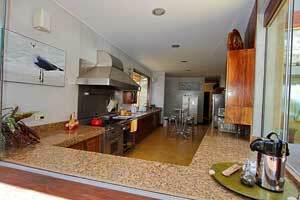 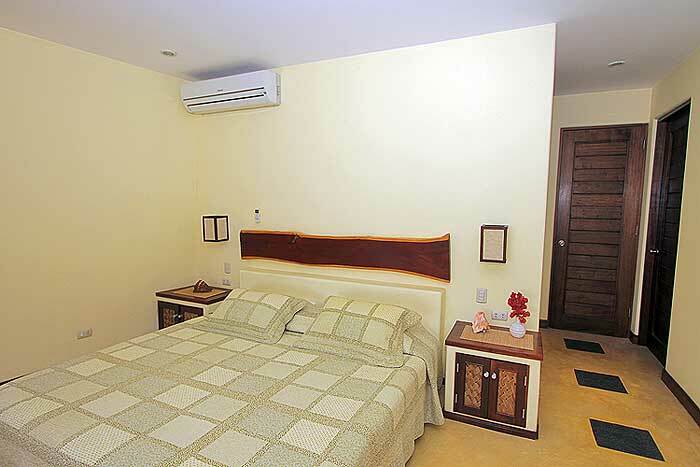 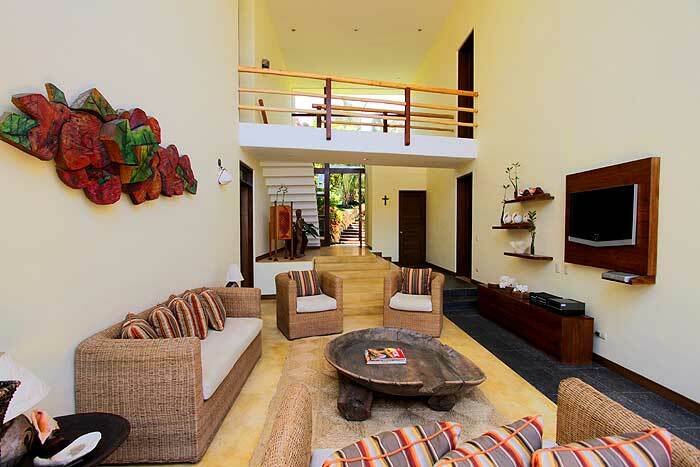 Casa Kusa offer 2 private parking areas, electric light (220v), hot water, TV with DirecTV, DVD and music system. There is mobile signal on the area and Internet signal with a proper satellite card. 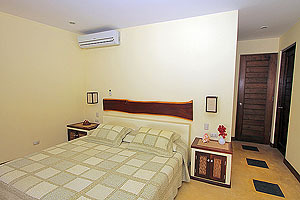 The house provide sheets and bathroom towels. 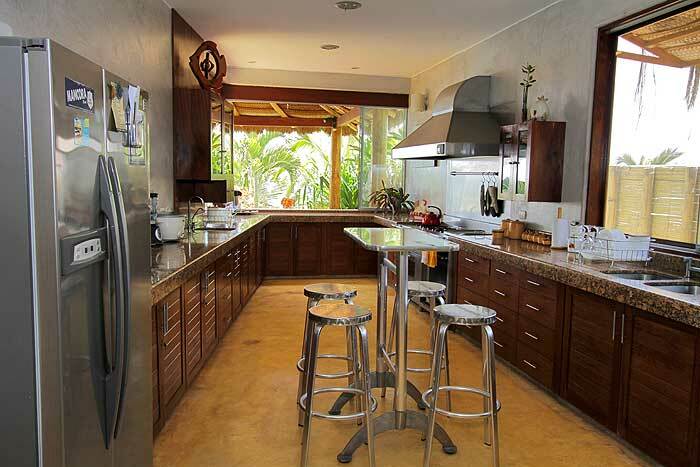 For your comfort, we included a qualified service employee. 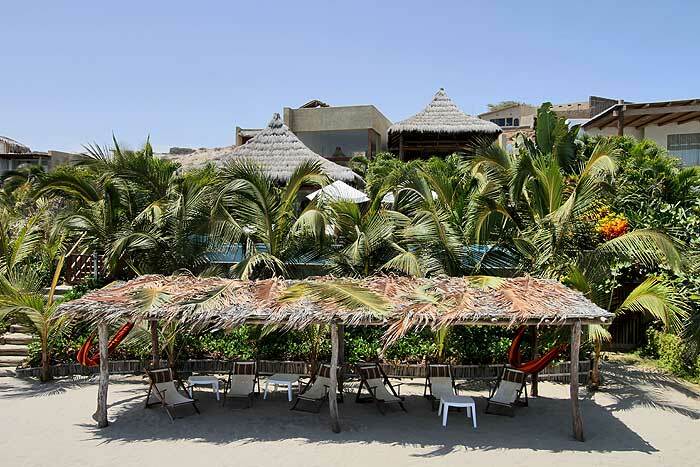 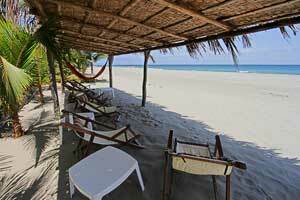 At the beach we have a big bamboo made shade with palm leaves and beach chairs for your total relax.